Vale of Rheidol Railway. 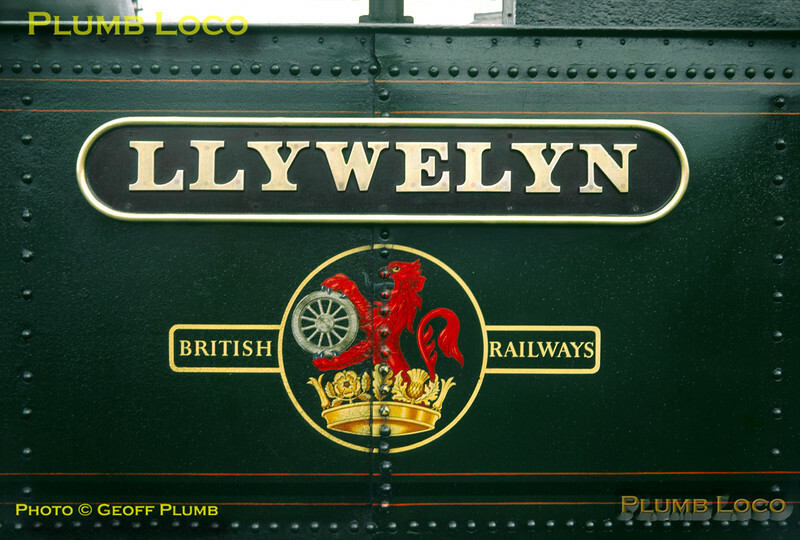 Nameplate on the tankside of Vale of Rheidol Railway No. 8 "Llywelyn" at Aberystwyth, Friday 30th August 1963. At this stage the locos were painted in the BR fully-lined express passenger Brunswick green livery. Slide No. 342.